To reveal your best summer look yet, consider Skinade, the multi-award-winning collagen beauty drink that works from the inside out - a sure way to fabulous, healthy skin! This beauty beverage is packed with powerful ingredients and its unique liquid formulation that's designed to boost the skin's natural production of collagen, hyaluronic acid and elastin for smoother, younger and more hydrated skin. With no artificial colouring and naturally flavoured with refreshing peach and mangosteen, skinade should be your go-to summer drink; it's the perfect partner to your daily summer skincare routine. 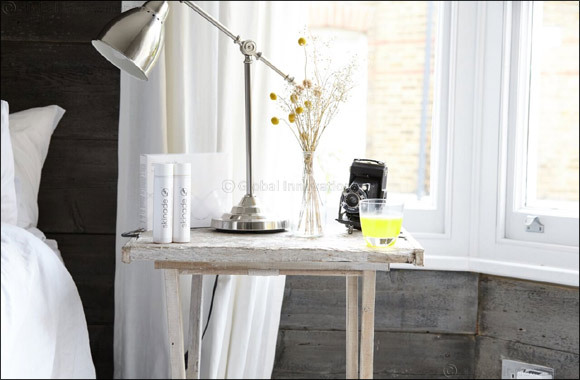 Skinade is sold in courses of 150ml ‘ready-to-drink' bottles or 15ml travel sachets that you simply dilute in water. It is recommended to take skinade daily and it is sold in courses: 30 days, 60 days and 90 days. Skinade prices start from AED 800 for a 30-day supply and are available from Iwona Specialty Clinic, Sansaya Cosmetic Surgery and Dental Clinic, Euromed Medical Center, Rose Arbaji, So Spa – Sofitel, The Palm and Kalm Holistic Beauty.